The 3rd show in our winter Show jumping series. Protective headgear complying with current safety standards MUST be worn by ANY PERSON mounted anywhere on the Showground and will be subject to spot checks. Competitors’’ ages will be taken from 1st January of the year of the Show. It is the Competitors’ responsibility to ensure that their horses/ponies are free from any virus or disease such as strangles and are in general good health in order not to jeopardise the health of others. 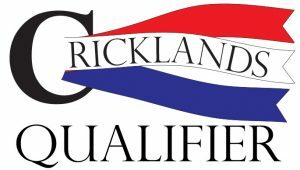 Cricklands: Jump a double clear to gain qualification for Cricklands Winter League Finals and Championship of Great Britain Finals 2019. Please ask for your qualifying card at the judges box after the class. See http://www.cricklands.com/championshipsandfinals.html for more details.